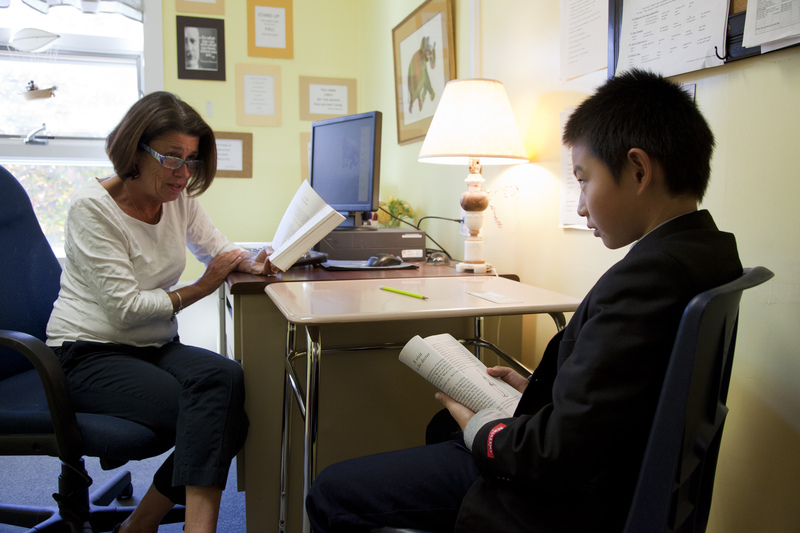 The Language Skills Department offers individualized programs designed to meet the needs of students with moderate learning differences. The customized program is as unique as the student, reflecting his or her specific needs, strengths and interests. Scheduled during the academic day, the program offers one-on-one instruction five days a week; each session is 40 minutes in length. It is the goal of the program to help students develop skills and learning strategies to become more effective learners. Solidifying concepts and gaining skills allows them to achieve independent, academic progress and success. The specialists work with students to identify their needs while supporting them through guidance, academic assistance and skill instruction. Instruction may include reading decoding (Orton-Gillingham Program and Wilson Program), comprehension, fluency, written expression, vocabulary, study skills, ADHD coaching and math support. Each specialist regularly collaborates and communicates with the student's teachers and advisors; in addition, detailed profiles are provided that include modifications and recommendations from educational testing and anecdotal reports. Instructors are also experienced in working with students with ADHD and dyslexia. Every effort is made to match specialists with students based on the student’s areas of need and the specialist’s area of strength.